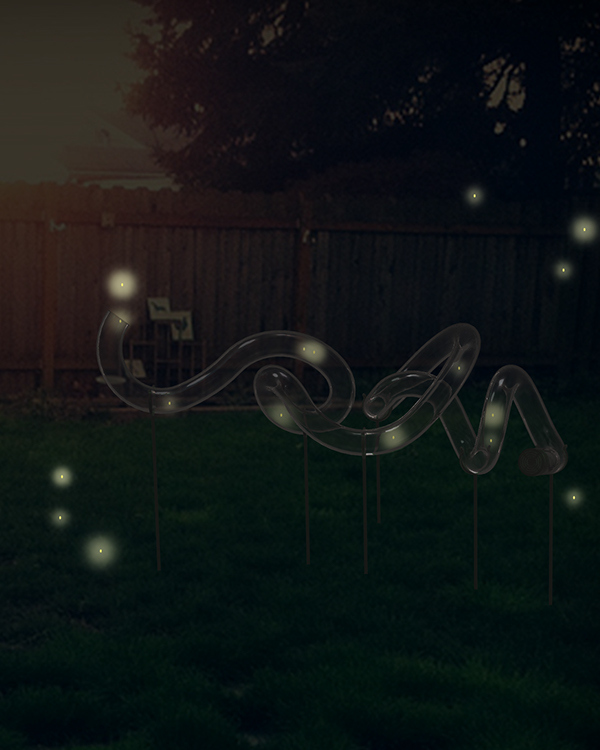 The Firefly Maze encourages outdoor play by combining the magical quality of fireflies with its simple, but customizable shape. This product facilitates the collection and observation of fireflies without trapping the beetles in a jar. 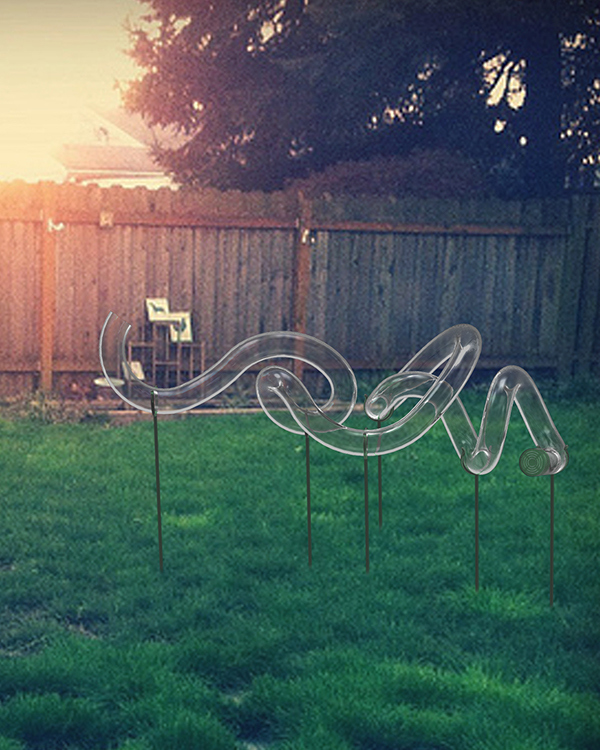 The Firefly Maze kit contains 8 holder-poles of different heights, 1 end cap with a fan for air-flow direction, and a 10-foot long clear, flexible tube with a 4-inch outer diameter.